As the spring semester is ending, tension caused by approaching deadlines is rising and the weather is warming up, it is important to remember to relax. 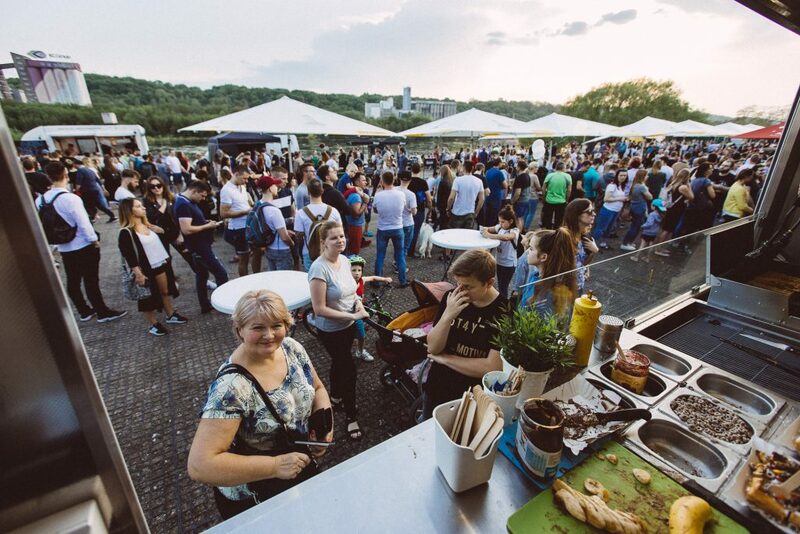 Good food in open air and friendly atmosphere with great music helps in this department a lot. 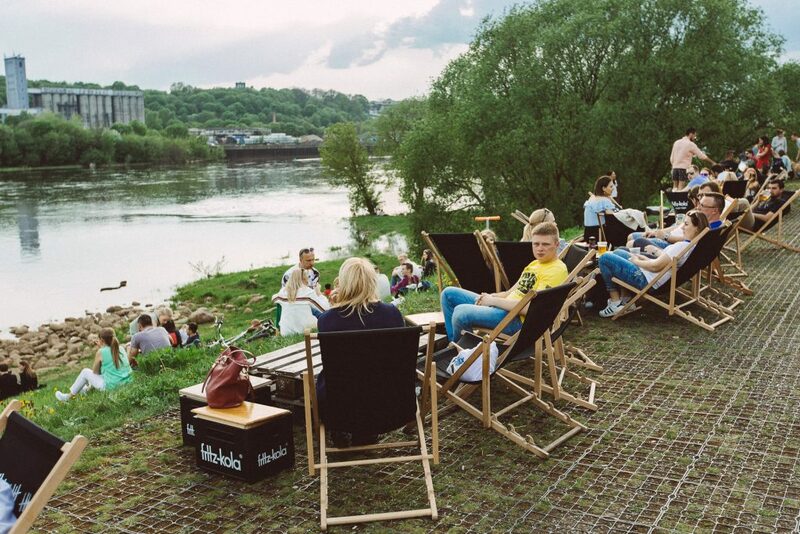 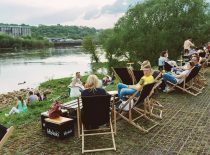 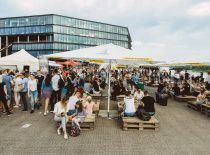 Street food market in the very heart of the city, dozens of restaurants in one place, lunch on the grass while sunbathing on the bank of the river – Open Kitchen is definitely more than just one thing. 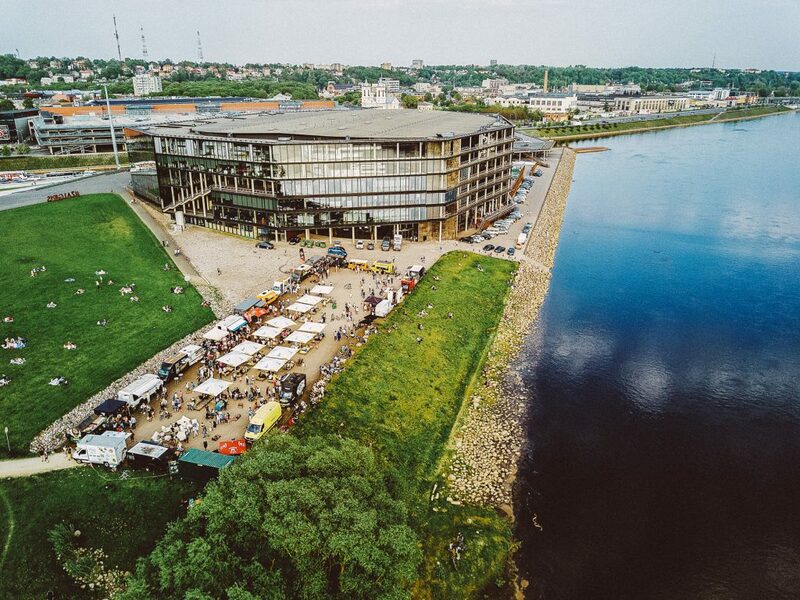 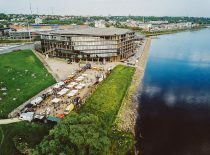 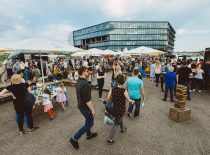 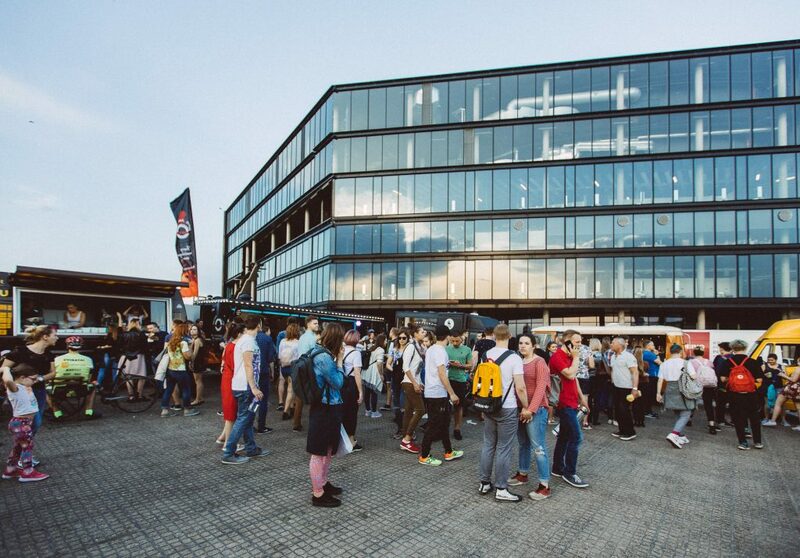 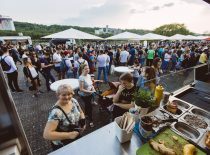 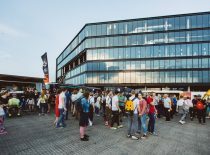 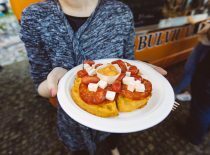 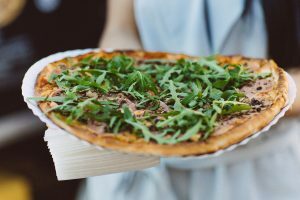 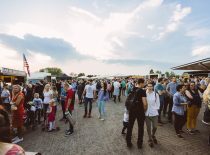 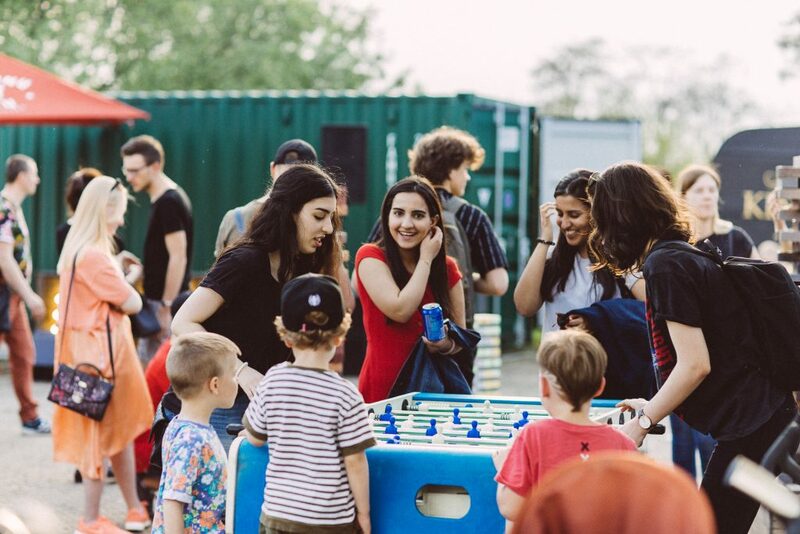 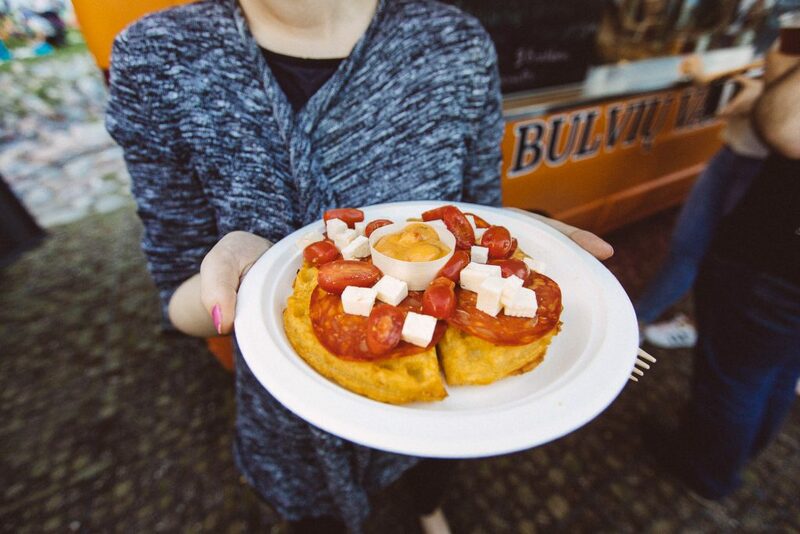 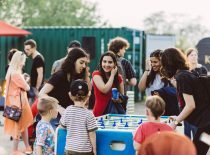 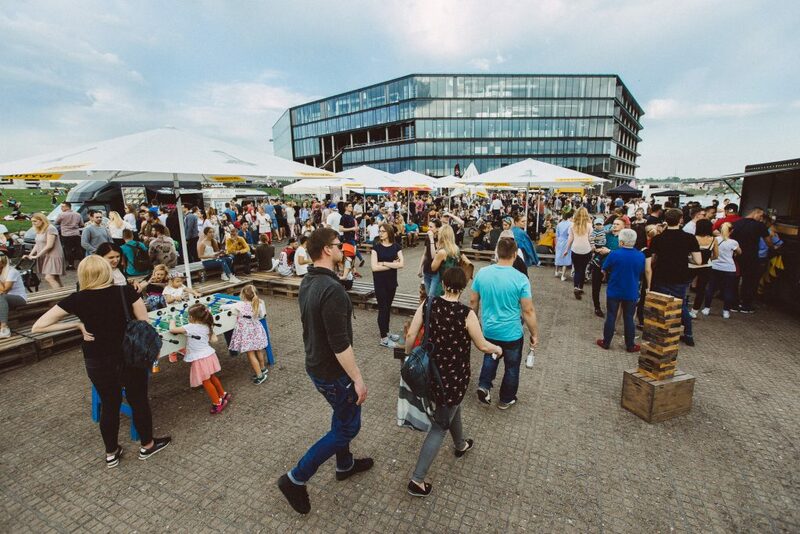 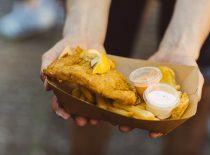 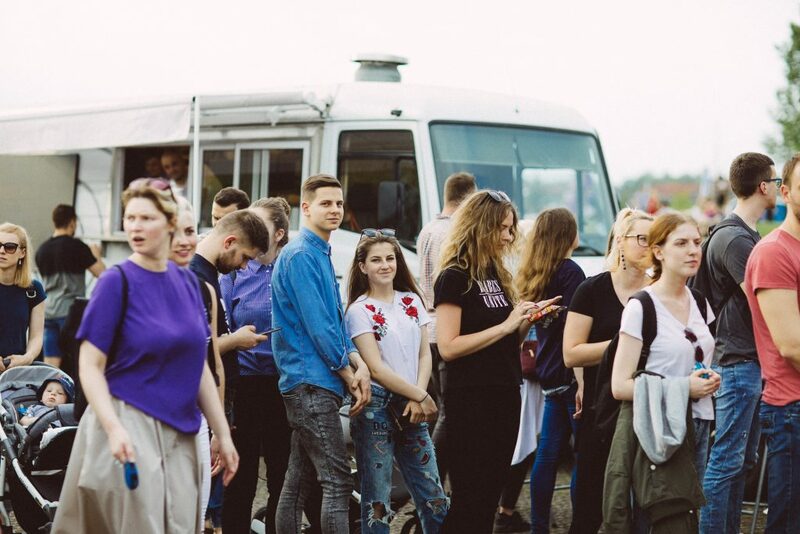 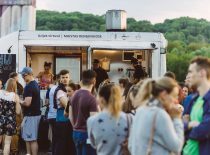 Every Thursday, in Nemunas Island, next to Žalgiris Arena you will find dozens of food trucks offering the variety of meals. 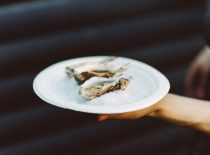 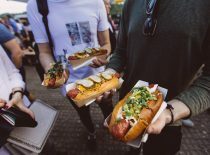 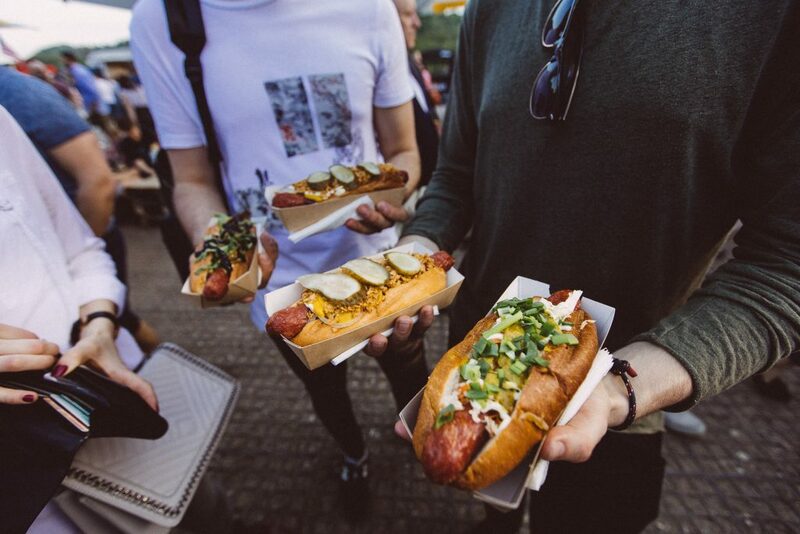 From hot dogs to oysters, from fish and chips to traditional Uzbek plov, from noodles to stuffed potatoes – street food concept here is taken to another level. 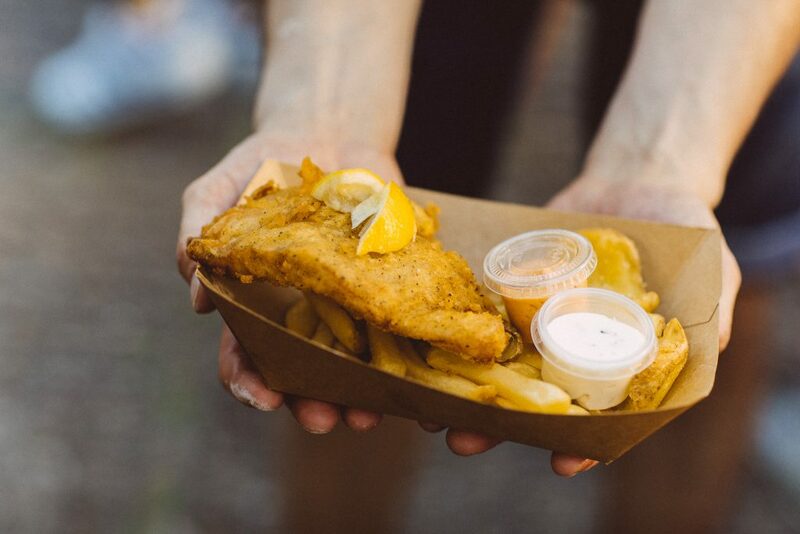 Street food is not a new phenomenon – the Ancient Greeks used to offer small fried fish as a tasty snack. 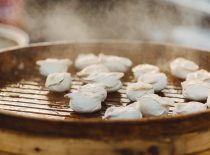 Street vendors populate the streets of Asia and West Africa, serving almost anything from salted corn on the cob to spicy fried rice. 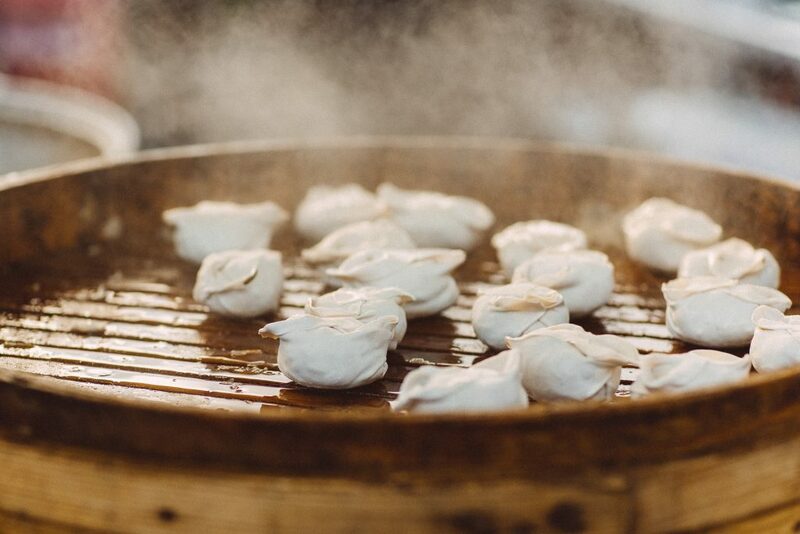 It is assumed that artisan street food originated from the classic farmers’ market in which traders realised that they can make on-the-spot dishes from the ingredients sold in the same market to feed hungry customers. 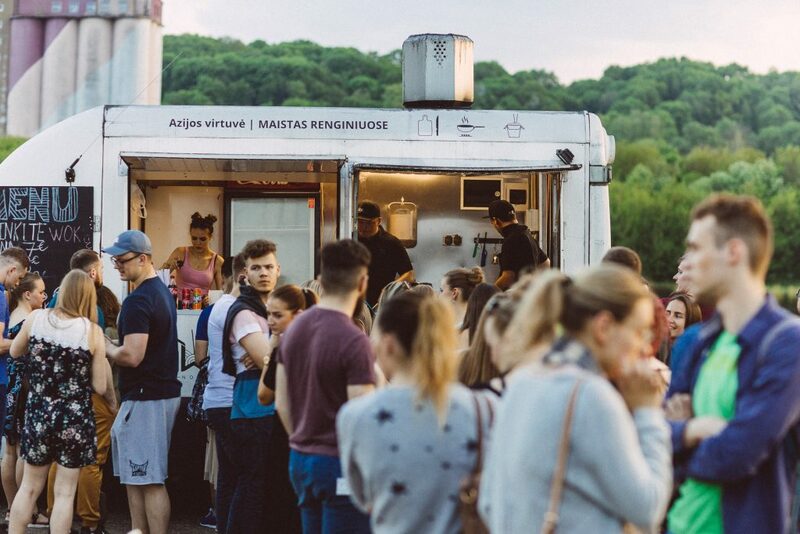 Today food trucks in the US and Europe selling juicy burgers, crispy vegetables and gourmet snacks is a common feature of the landscape offering catering in weddings, office lunches, or fast food during sports games and other events. 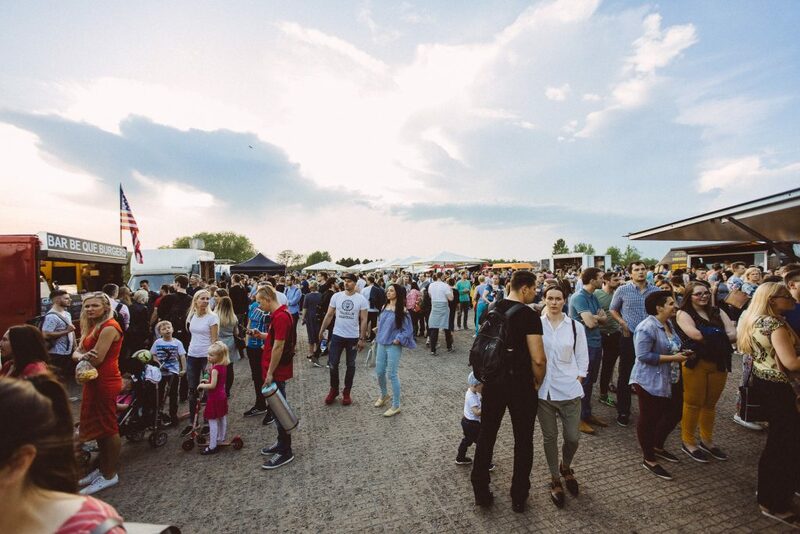 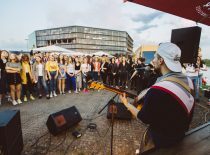 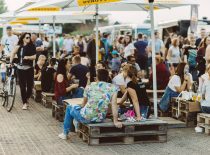 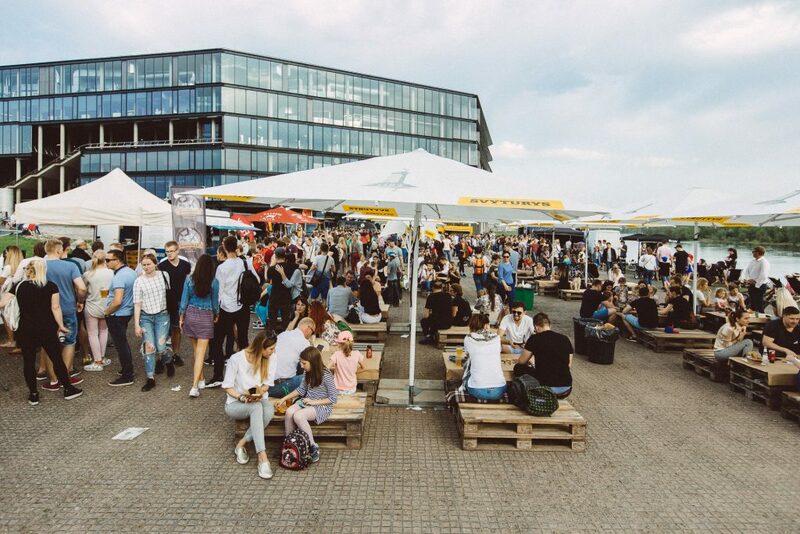 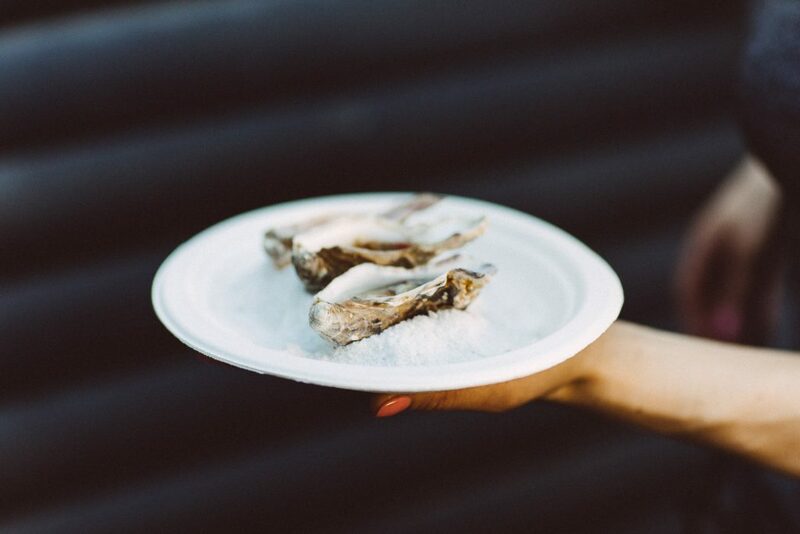 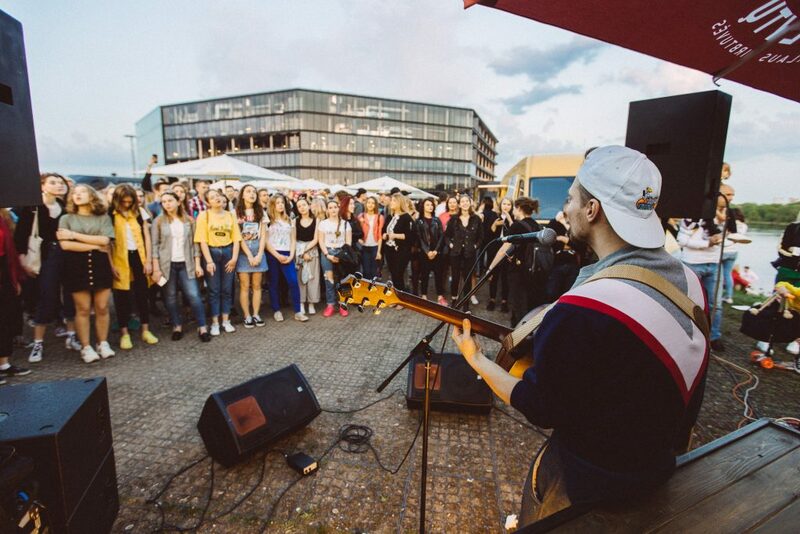 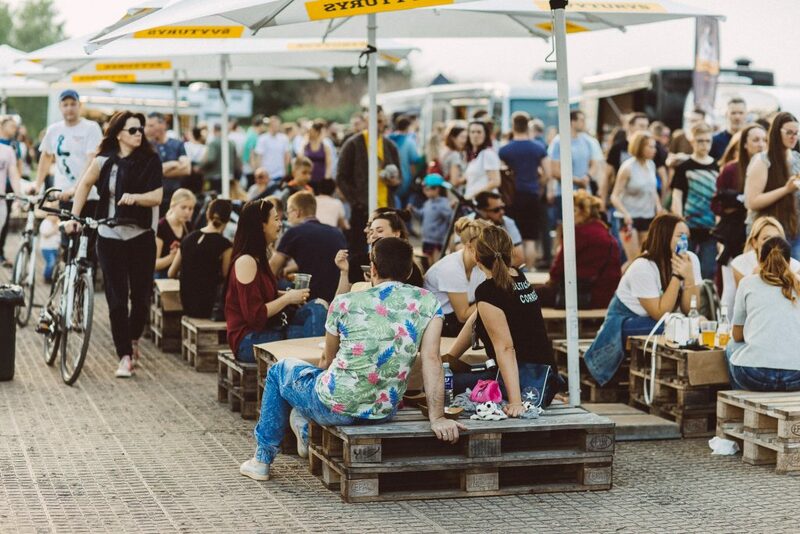 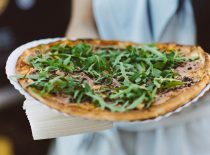 Join street food festival in open air every Thursday in Nemunas Island. 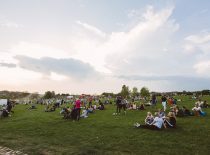 Stay until after 6pm and listen to the free concert. 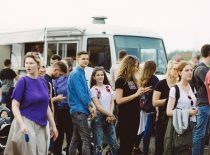 Check the updates on Facebook.